Looking for a special gift idea this holiday season? 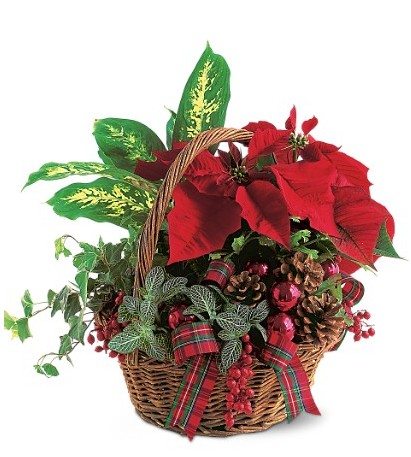 Bloomex offers a lovely selection of Christmas Flower Planter Baskets that will brighten anyone's home this year. These long lasting flowers and plants are artfully arranged in a beautiful basket with decorative ribbons and are your easy gift giving solution. They work especially well as corporate gifts and for those who are hard to buy for. Any plant lover will enjoy this wonderful living reminder of your thoughtfulness! 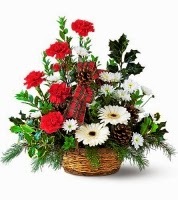 Choose from 3 gorgeous Christmas Flower Baskets and send Christmas flowers in Canada with a little added touch this year. For more great holiday gift ideas check out our Bloomex Holiday Gift Baskets blog.